There’s a new mouse in the lab for the study of amyotrophic lateral sclerosis (ALS). And there will soon be more: mice carrying a mutant version of human TAR DNA binding protein 43 (TDP-43), described in a paper posted online this week in PNAS, will likely herald a veritable herd of mice with various TDP-43 mutations. Robert Baloh and colleagues at Washington University in St. Louis, Missouri, reported on the first published transgenic model of TDP-43 proteinopathy, describing a mouse that shows features of both ALS and frontotemporal lobar degeneration with ubiquitin aggregates (FTLD-U), another TDP-43 proteinopathy that sometimes co-presents with ALS. Surprisingly, the mouse lacks one common feature of human disease: although there are ubiquitinated protein inclusions in the animal’s neurons, TDP-43 is not a component of the aggregates. This could indicate that TDP-43 aggregates are not central to disease—or simply suggest that the model is a poor facsimile of human disease. John Trojanowski of the University of Pennsylvania in Philadelphia, who was not involved in the current research, applauded the publication. This will energize the field, he said. Several laboratories are working on their own TDP-43 mouse models; Trojanowski joked good-naturedly that he was crushed to see Baloh’s group make it into print publication first. However, researchers warned against overinterpreting early results, particularly since the current publication lacked control mice overexpressing wild-type human TDP-43. We have to be incredibly cautious as far as what these results mean, said Leonard Petrucelli of the Mayo Clinic in Jacksonville, Florida, who also was not a participant in the PNAS paper. I think it is a bit of a stretch to say that it is an ALS model per se. It begs additional work. Researchers should be particularly wary, he noted, given the ALS field’s history with animal models. The mouse overexpressing human superoxide dismutase 1, long a standard in ALS labs, has frequently responded to drugs that later failed in people (see ARF Live Discussion). Baloh, first author Iga Wegorzewska, and colleagues constructed mice expressing human TDP-43-A315T under control of the mouse prion protein (PrP) promoter. This mutation was found in a St. Louis family with familial ALS. The animals made human protein in amounts approximately three times that of endogenous mouse TDP-43, and expressed the transgene most highly in the brain and spinal cord. The mice first showed motor symptoms at three to four months of age, and after four and a half months they were unable to support their own body weight, using their limbs to scoot around on their stomachs. Survival averaged 154 days, although it varied between approximately 100 days and up to 240. Necropsies of end-stage animals confirmed degeneration of motor axons, and mutant animals at end-stage possessed only 80 percent as many motor neurons as wild-type control mice. The TDP-43 mouse has more upper motor neuron involvement than the SOD1 mouse, where symptoms are primarily caused by degeneration of lower motor neurons, Baloh said. TDP-43 is normally a nuclear protein. Although its exact function is poorly understood, it appears to be involved in several aspects of RNA regulation (for a recent review, see Geser et al., 2009). In both ALS and FTLD-U, TDP-43 exits the nucleus. Cleaved, hyperphosphorylated, and ubiquitinated, it forms inclusions in the cytoplasm (see ARF related news story on Neumann et al., 2006). Researchers have discovered several different TDP-43 mutations in people with ALS (see ARF related news story on Gitcho et al., 2008 and Sreedharan et al., 2008; and ARF related news story on Van Deerlin et al., 2008 and Kabashi et al., 2008). In the current study, histopathology of end-stage mice showed ubiquitinated aggregates in both spinal motor neurons as well as neurons in the frontal cortex, making the pathology reminiscent of both ALS, where motor neurons are afflicted, and FTLD-U, which affects the frontal temporal lobe. As in humans, the mutant TDP-43 cleared the nucleus of brain cells. However, unlike in human disease, it did not show up in cytoplasmic aggregates. The ubiquitinated inclusions also did not stain positive for α-synuclein or tau protein, other common aggregate components. Ronald Klein of the Louisiana State University Health Sciences Center in Shreveport speculated that further examination might still yield a TDP-43 presence: Perhaps an unknown and so far undetectable TDP-43 fragment conformation was present in the ubiquitin aggregates, he wrote in an e-mail to ARF. The lack of TDP-43 inclusions could be a sign that the mouse is an inadequate model for human TDP-43 proteinopathy. Alternatively, it could be a clue that nuclear clearing of TDP-43 is the key problem. Maybe that is where all the business is really at, and these other pathologies are muddying the waters, said Brian Kraemer of the University of Washington in Seattle, who was not involved in the current study. A crucial next step, Baloh said, will be to take a second look at human TDP-43 proteinopathy tissues to see if ubiquitinated inclusions always have TDP-43, or whether some aggregates are TDP-43-negative. Previous work has shown that caspase-3 slices TDP-43 into 25- and 35-kilodalton carboxyl-terminal fragments (see ARF related news story on Zhang et al., 2007), and that those fragments are toxic in cell culture (see ARF related news story on Zhang et al., 2009). In the mouse model, Baloh and colleagues found that carboxyl-terminal fragments 25 and 35 kilodaltons in size appeared in brain and spinal cord lysates between one and two months of age, preceding noticeable motor symptoms, loss of nuclear TDP-43, and the majority of the ubiquitinated aggregations. The fragments could play a direct role in causing neurodegeneration, the authors suggested. The TDP-43-A315T mouse is the latest in a diverse line of TDP-43 models. Researchers have studied TDP-43 in systems ranging from yeast (Johnson et al., 2008) and mammalian cell culture (see ARF related news story on Winton et al., 2008) to nematodes, fruit flies, and zebrafish (see ARF related news story). In mammals, researchers have used viral vectors to deliver the human TDP-43 gene into the substantia nigra of rats; the animals recapitulated some features of human disease (see ARF related news story on Tatom et al., 2009). Adding a transgenic mouse to that panel has been difficult. For those in the field, it is clear that generating these mouse models is a mammoth task on its own, wrote Samir Kumar-Singh of VIB, University of Antwerp, Belgium, who also was not part of the PNAS publication, in an e-mail to ARF (see full comment below). TDP-43 is essential for development, and knockouts are not viable. Many founder mice fail to reproduce, or the phenotype weakens in successive generations. I think TDP-43 is just very toxic, Kraemer said. It is always a tradeoff between getting a mouse that will live and getting a mouse that will express your toxic protein. Because of these factors, Baloh and colleagues were unsuccessful in engineering a wild-type counterpart to their mutant transgenic line. That leaves open questions of whether its phenotype comes from the specific mutation or simply from too much TDP-43. It does not negate the findings, but it definitely clouds the interpretation, Baloh said. In the rat model, overexpression of wild-type TDP-43 did cause neurodegeneration (Tatom et al., 2009). Having a TDP-43 mutant to go along with the SOD1 mouse will strengthen translational research, Baloh suggested: Testing in two different mouse models might give us a better chance of predicting positive correlations of drugs that work in humans. Medicines that work in both kinds of mice, he said, should be first in line for clinical trials. Wegorzewska I, Bell S, Cairns NJ, Miller TM, Baloh RH. 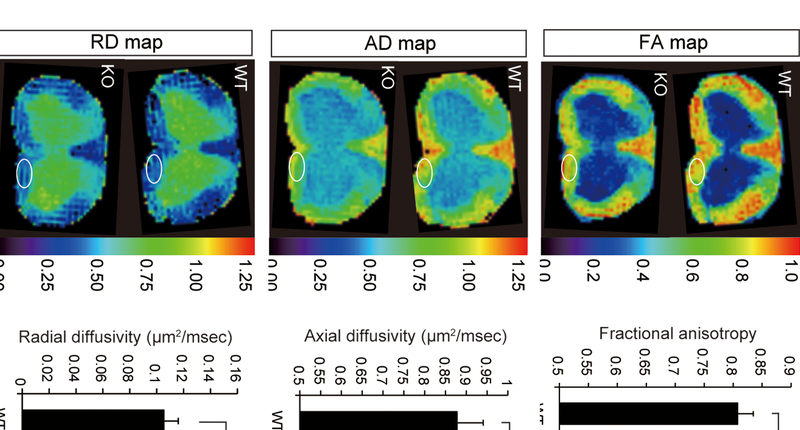 TDP-43 mutant transgenic mice develop features of ALS and frontotemporal lobar degeneration. PNAS. 2009.